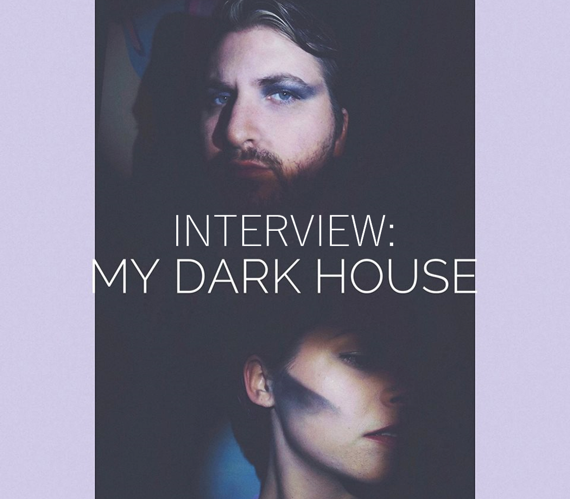 My Dark House is the Mississippi-based husband and wife duo of Lindsey and Will Thornton. 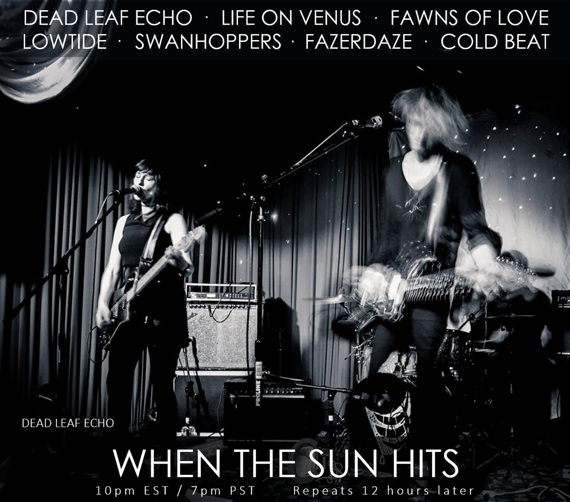 Their sound is foundationally post-punk, but fused with strong elements of shoegaze and dream pop. They first came to our attention last year, after releasing a string of captivating singles via Bandcamp. We were intrigued. We’re still intrigued. Enjoy getting to know My Dark House with us. My Dark House was a largely abandoned project of mine from around 2013, but after my wife expressed interest in learning to play the bass guitar, I decided to start it back up. She picked up the instrument very quickly, and we settled on the idea of being a duo. We decided to use a drum machine, and keep in-line with a minimal approach to our music. Can you tell us what the band has been working on and what you’ve got forthcoming in the near future (any new releases, tour, etc.)? We’ve just released an EP, titled I Heard You Crying, and have already begun writing a full length that we plan on releasing sometime in late spring/early summer. The two of us have finally found the direction and sound we have been looking for, so we are pouring all of our efforts into putting out an album that we’re excited about. 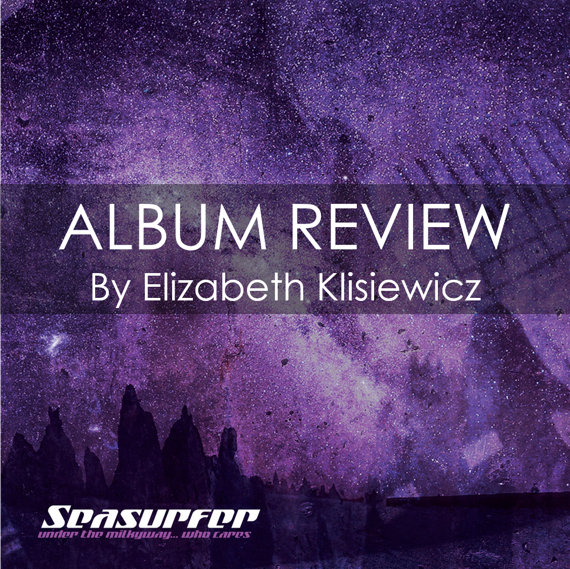 ALBUM REVIEW: Seasurfer | Under the Milky Way... Who Cares. 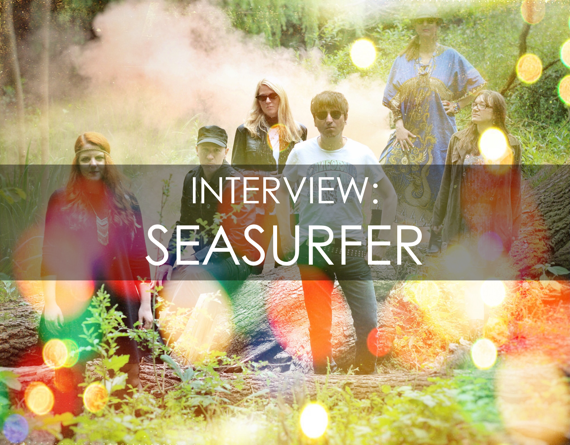 Germany’s Seasurfer is a band that has seen a lot of personnel changes. Most notable was the loss of original singer Dorian E, replaced by the sultry tones of Julia Beyer. Barely missing a beat, they have stomped forward and carved out their own space in a crowded shoegaze scene. More punk than other bands labelled as shoegazers, they also have a noise pop elements that will please headbangers. But deep in the heart of all their music is an upwelling of heavenly hooks and stunning soundscapes. Leader Dirk Knight wields a mean guitar, but only in the sense that he has the chops. His sense of the genres he straddles stylistically is wise and he makes the right choices in his use of effects. Bassist Volker Zacharias is all over the grooves on this record, with thick, rubbery bass lines that bounce inside your brain like a slingshot. And as for drums, I am not sure who is responsible for playing the parts here, but it all works well. Lead in track “Tricolore” is bizarre, jarring, and noisy. Words in French tumble through and you wonder what it’s all about. Frenzied percussion wars with bass and fuzzed out guitar, and then it turns strangely quiet as it fades to a close. “Too Late For Goodbye” continues the fast moving pace, only with Julia stepping up to the mic and offering a pretty vocal. It’s like a silvery dream turned inside out, and it reveals the band’s love for noisier structures. 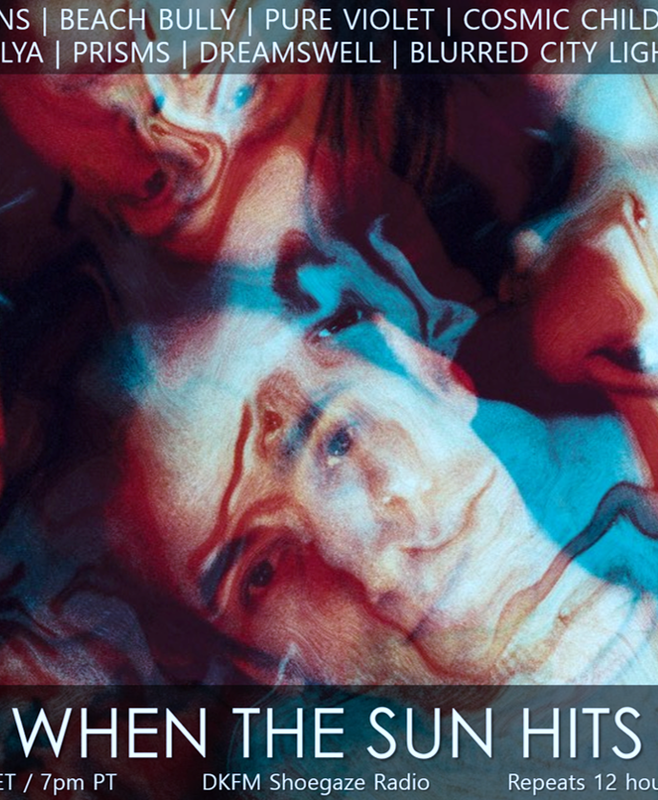 Still, it hovers between dream pop and its noisier shoegaze cousin, without quite being either one. “Falling” is glorious, dark shoegaze. It’s slightly over six minutes, and it’s still not long enough. It’s a dream that you want to last forever, and is possibly the best track here. “If You Leave” starts up with a lead synth line that knocks you off kilter, and it’s only eclipsed by Julia’s beautiful voice and Dirk’s glistening layers of guitar drenched with reverb. And wow, that guitar solo will launch you straight into orbit. Really cool work! “The Roads We Take” sounds like their older work, and that is by no means a criticism. It falls closer to the traditional constructs of shoegaze, something that always works for this band. It floats and soothes even while it shreds. Very nice! “By The River” starts off with a Space Invaders-like sound and morphs into Julia emoting in French. No matter the intent of the lyrics, it’s more about the feeling it evokes in you. It’s a head rush of sound, one that never lets up over roughly four minutes. It truly demands a good set of headphones to appreciate the maze of sonics, which are fascinating and always beautiful. “Confusion” is punk with psychedelic inflections, and beneath the shimmering wave of sound is a massive hook. And boy, the bass work here is stellar. “Symetrie” could write the playbook on dream pop, it so perfectly defines the noisier side of that genre. Drums beat gently like a heartbeat over Julia’s sweet voice, and guitar is way back in the mix. Then at two minutes, the drums comes smashing through the mix and keep you transfixed to the song’s end. “Trust the Path Unseen” is another gorgeous tune, piled high with the shimmering haze of Dirk’s guitar and Julia’s darkly angelic vocals. The band dials it back a bit and reveals a soft, billowy center to this song. It ends a challenging yet wonderful suite of songs that should please all Seasurfer fans, and anyone else who wants to ride the sonic waves with this great band. Secret Shine is the Bristol band that’s been around the block a few times, recording for both Sarah and Clairecords, and even cracking the top 20 back in 1993 with the song “Loveblind”. That’s quite a feat for a group that disappeared for a long while, leading people to think they might not return, though they reformed in 2004. Though they recorded quite a few singles and EPs right up to the mid ‘90s, fifteen years passed between their 1993 debut album (Untouched, reissued by Saint Marie Records in 2015) and their second record (All of the Stars) in 2008. And somehow, through all this time, they’ve managed to maintain their sonic shimmer and have possibly created their finest recording to date in There Is Only Now. There’s a mystery and elegance in this group’s sound, reminding me of the equally tantalizing High Violets. It’s a certain je ne sais quoi that surrounds their swirling melodies and hazy bright compositions. And it’s a welcome and refreshing change from much of the shoegaze and dreampop humdrum that passes for nu-gaze these days. It’s so easy to fall into the MBV/Slowdive trap that keeps so many bands from standing out. 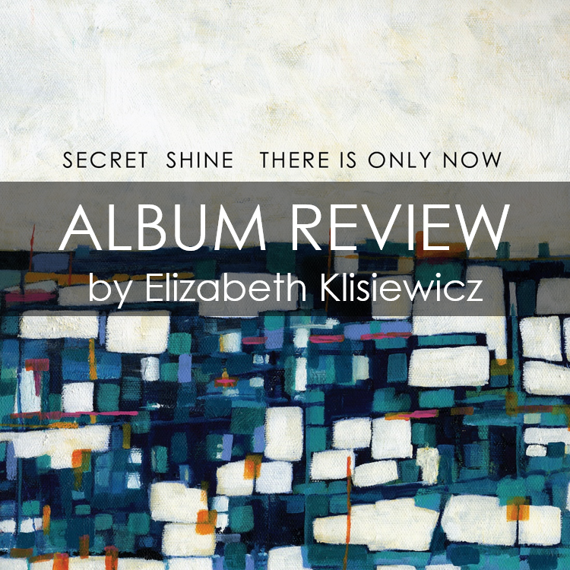 In fact, I can honestly say that Secret Shine sound only like themselves, only a hundred times better than in the past, due to strong compositions and great production. Having interviewed the engaging and friendly Kathryn Smith (keyboards/vocals) a few years back and then having the great pleasure of meeting her in person and seeing the band last spring at NYC Popfest, I am well and truly hooked by this band. And you should be too, after hearing the gorgeous gems they have in store for you! Where do I even start? You can put the needle or skip forward on the CD anywhere, and you’ll be treated to stunning dream pop and ethereal shoegaze of the best sort. But you might as well start with the glistening wonder of “Burning Stars”, a lovely confection that has Kathryn and vocalist/guitarist Dean Purnell trading vocals. The keyboards are warm and organic, and lay down a solid foundation for an already fantastic tune with pop flourishes. “All In Your Head” unfurls its majestic layers slowly, unveiling soft, dreamy vocals and a chiming, high pitched backdrop. The guitars drift slowly along before kicking the energy up on the bridge. “Dirty Game” hovers closer to post punk, save for the graceful notes from Kathryn’s keyboard playing. Dean’s sweet voice only lightens it further, but these sparkling motes are offset by slightly ominous bass and guitar. “Drift Away” is deceptively quiet, and just when you are caught up in its roller rink organ and peaceful riffs, the guitars really hit their high mark halfway through the song. I especially love Dean and Kathryn’s vocal interchange. Great! Despite the sonic splendor of the first four songs, the dark swirl of “To the Well” is my favorite track of this song cycle. It’s the song I keep returning to, sucked straight in by that throbbing bass and punctuated by keyboard chirps. It reveals a different side to the group, its gloomier textures perfectly in sync with the troubled minds and hearts of people around the globe. The almost whispered voices only add to the atmosphere, and I bet they kill it live with this track. “For You” is equally cool, a perfect example of elemental shoegaze. Ringing guitars shaded with way cool effects? Of course. Mesmerizing melodies hooking you from the get go? You bet. Be prepared to surrender to its fiery embrace. “Snowglobe” is more introspective and delicate, and imagine yourself walking through lightly falling snow, looking up in wonder at how it paints the landscape in silvery threads of frost. It’s the perfect soundscape for wintry nights. “Falling Again” is the type of song that makes this band so special, containing both that mysterious element and a ton of shimmer and shine overlaying it all. Lovely! “Things I Said” is a tightrope of tension and wonder, the aftermath of the type of discussion that can undo a relationship. It’s bound by a memorable chorus and is another favorite on an already excellent collection. “Make Me You” is the final entry here, and you hate to hear it wind down. When you experience albums as fine as this one, you want to revisit it repeatedly. The band trots out all their hallmarks, glistening songcraft and heavenly vocals married to huge hooks. 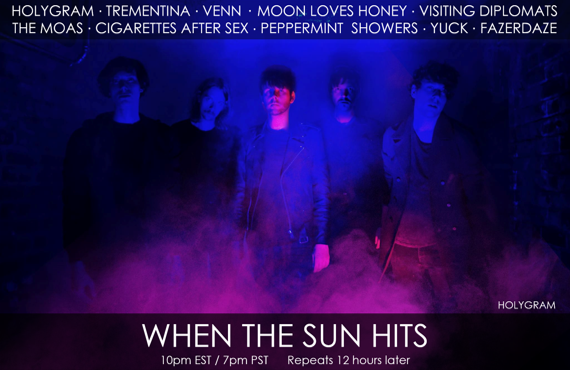 In short, this is a sonic lovefest for all lovers of good shoegaze and dream pop. Highly recommended! 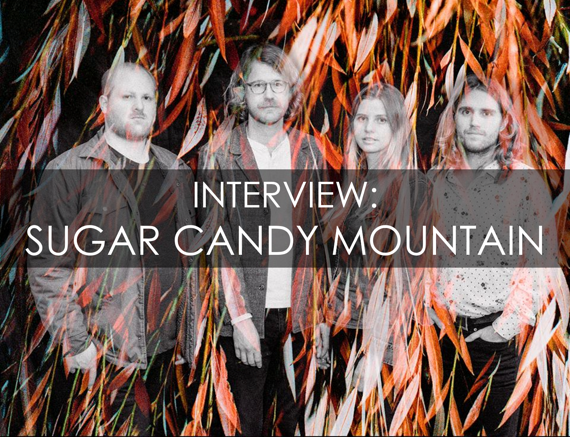 One of my happiest first encounters of 2016 was discovering California’s Sugar Candy Mountain. First came the droll and intriguing videos for “Eye on You” and “Windows” from the project’s third and most recent LP, the delightful and engrossing 666. (We posted “Windows” here.) From there, I hopped over to a clip of the title track being performed live at the Echoplex (embedded below). Amidst the appealing sound the band conjured with ease, Ash Reiter’s performance as front person—her low-key charisma and understated charm creating instant sparkle whenever she took the mic—riveted my attention and clinched my status as a fan of the project. I quickly got hold of 666 and, soon after, the two previous full-lengths, finding them all impressive and enchanting. 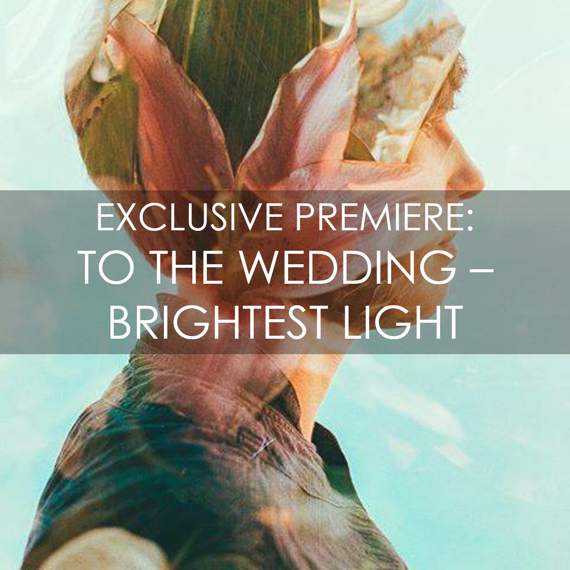 Exclusive Track Premiere: To The Wedding | Brightest Light. To The Wedding is the California-based project created by multi-instrumentalist Lauren Grubb. After releasing the absolutely breathtaking Silver Currents in 2014, the project has remained mostly quiet. Anyone familiar with Silver Currents, which illuminated the hearts and minds of many, has no doubt been eagerly awaiting further enchantments from TTW; we certainly have been. It is a true-coming dream for us to exclusively premiere a brand new track from To The Wedding for you today. “Brightest Light” is slow-burning psych-gaze at its smoldering finest. 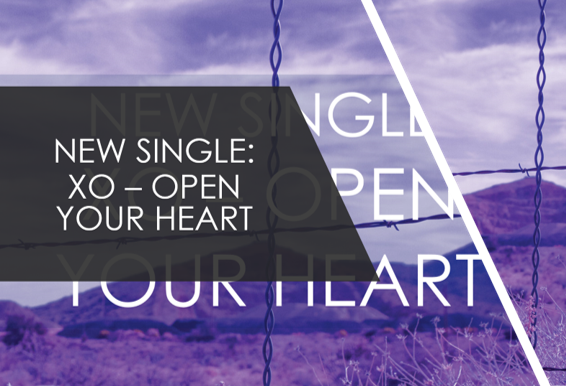 The song's atmosphere is both heady and trance-inducing; the melody equal parts exquisite and devastating. Within the nuanced haze of crushing guitar and crashing drums, Grubb's rich vocals sound as powerful as ever. For those of you eternally searching for a smoky, psych-tinged reverie in which you can lose yourself, here’s the door. We’re right behind you. The song is taken from the forthcoming Alternative F̷acts: A Shoegaze Resistance Compilation, which is set for release on March 17, 2017 via DKFM. 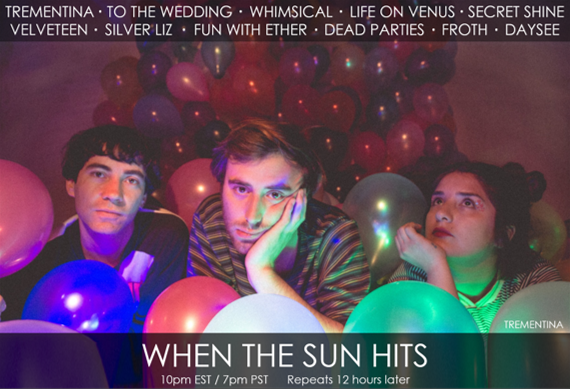 The compilation features a top tier collective of shoegaze and dream pop artists taking a stand against the tyranny we're all facing in our current political reality. All proceeds from this compilation will be split evenly between Planned Parenthood and the A.C.L.U. Boston-based dream pop project Funeral Advantage is the brainchild of Tyler Kershaw. Since releasing an impressive debut LP in 2015 called Body is Dead, the project has remained fairly quiet. A still surface doesn’t necessarily reflect tranquility, however. During the interim, Kershaw struggled through personal hardships, and eventually began the cathartic process of transforming those experiences into songs. Please Help Me, released on February 24 via The Native Sound, is the end result. The juxtaposition of sparkling, jangly guitarwork and dark lyrical content is one of the hallmarks of Funeral Advantage’s sound. For me, this contrast is also the true core of dream pop music. Dream pop’s task has always been to reconcile its own dual nature in a way that sounds both effortless and catchy. It’s extremely difficult to do; Funeral Advantage excels at it. Body is Dead juggled these contrasts skillfully, but it was rooted in hope and enveloped in nostalgia. As far as aural juxtapositions are concerned, Please Help Me picks up where Body is Dead left off – the hooks are clever, the textures shimmer, and there’s enough reverb, delay and jangly guitar leads to please any lover of dream pop. But Please Help Me is rooted in a much darker place. There is no nostalgia here; instead, it feels more like a release. Nostalgia will always be linked with dream pop, but being liberated from it feels damn good, too. In other words, we love this project. 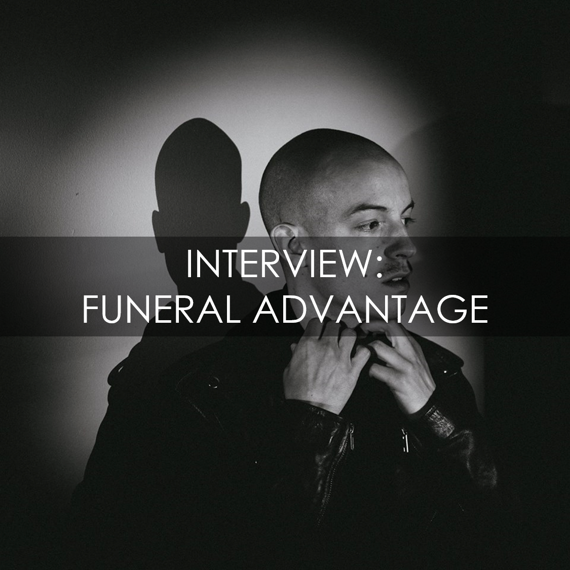 We're proud to share our interview with Tyler Kershaw of Funeral Advantage with you. How and when was Funeral Advantage formed? It was formed in my bedroom in 2013 after I was kicked out of one band and my other band broke up in the same week. I decided I didn’t want to have to worry about either of those things happening again. Can you tell us what you’ve been working on and what you’ve got forthcoming in the near future (new releases, tour, video, etc.)? I have a new record that just came out on The Native Sound, so I’ve been hard at work with that. I’m never not writing so you could say I’m shaping up the next songs that may be the next Funeral Advantage release but I don’t want to corner myself into that. That’s when you start limiting yourself. How would you say Please Help Me differs from your debut LP, Body is Dead? Different circumstances surrounded the writing and recording so it became a much darker record than my first LP. It’s unmistakably me, but as I get older and more horrible things happen, that happens to reflect in how I create.